A beautiful country pub with superb food. Trip Advisor have awarded us a Certificate of Excellence for consistent 4 and 5* reviews. Click on image below to see what people are saying. Sample menus are available to see on this site. Table bookings are highly recommended, particularly as our food and service are so highly regarded. Don't forget that we have a private dining room, perfect for special occasions. Dave, Alex, Joe and the team look forward to welcoming you soon. The Dog and Pheasant is a traditional pub dating back to the fifteenth century. Set in the quintessential English village of Brook, the Dog and Pheasant is well known for its roaring fire places, excellent seasonal menus and a great selection of ales, lagers, wine and gin. An exciting recent development is that our pub is now a free house, giving us the freedom to select our own beers! The Dog and Pheasant has an extensive outside area, great for relaxing with friends and family during the long summer evenings. We have a beautiful landscaped garden with an inbuilt BBQ and a fenced children's play area. There is a raised deck looking over the valley and some great seating at the front of the pub to watch the village cricket with a jug of Pimms! The Dog and Pheasant is the perfect venue for your special event. Whether it be Birthdays, Anniversaries or Weddings, we can help accommodate you on the special day. We also have plenty of space for a marquee in our large garden, an outside BBQ area and an indoor private function room with standing room for 50 people or seating for 32. Call us to find out more. 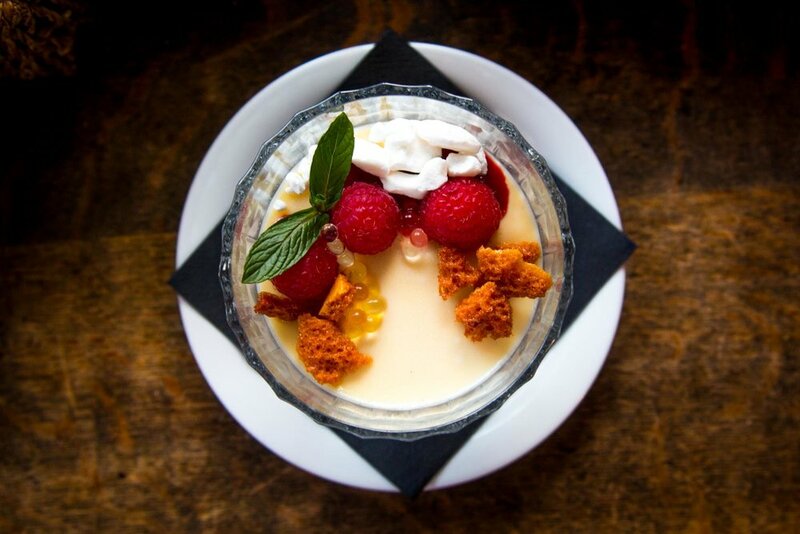 We strive to use locally grown and produced ingredients. Our aim is to support local farmers, suppliers and producers and to showcase local food and ales. All of our food is freshly prepared and cooked to order so therefore at peak times, please appreciate that there may be a short wait. It will be worth it! NO HIRE CHARGE FOR FUNCTIONS, SUBJECT TO AVAILABILITY. £15 per person. Add 3 tiger prawns (£8.00) or 3 scallops (£10.00) to any of our grilled main courses.All served with grilled mushrooms, grilled tomato, skin-on chips & mixed leaves. If there is a cut of meat you are craving or you are celebrating a special occasion, why not give us notice and we can organise a really special evening for you. Below are some ideas…. Our regular Wednesday Grill Night is loved by our locals and newcomers alike. All of our beef is sourced locally from a few great farmers but is mainly Aberdeen Angus. Not only do we serve five delicious types of steak but also prawns, scallops and the fish of the day. If you would like T-bone, Cote de Boeuf or Chateaubriand Steak or a special fish, please order in advance on 01428 682763. Price will depend on the market. Our stunning wine list features up to forty wines, including the local Nyetimber Classic Cuvee from Sussex. Our gin menu has eight specialist gins including Silent Pool from Albury and Blackdown Sussex Dry. As a free-house, we stock a superb selection of real ales, rotating these when we find excellent new additions. local Hog's Back ales feature heavily, alongside great beers from many smaller, local breweries. No wonder we are an AA recommended pub and have a Certificate of Excellence from Trip Advisor. 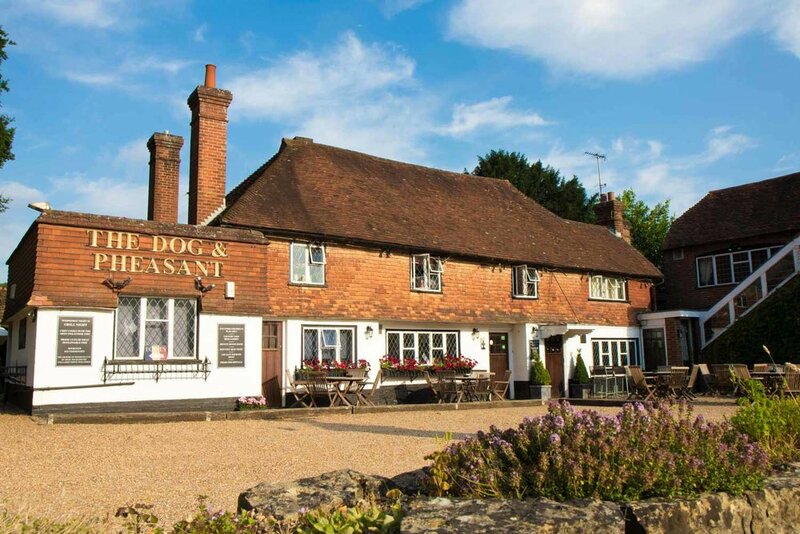 The Olive Tree in Sutton Green is a dog-friendly country pub and restaurant with an excellent patio and beer garden - specialising in fish and seafood and set deep in the Surrey countryside, yet just a few minutes drive from Guildford, Woking, the A3 and the M25. We have a large bar area to eat in and a soft seating area by our open fire, as well as a a comfortable dining room and a newly renovated patio and extended garden.